When reading about Pro Compression they really high light their Golf socks rather then their running socks. I'm not a Golfer so I can not really say how compression will help you putting but I do like to wear compression during my races and harder work outs. 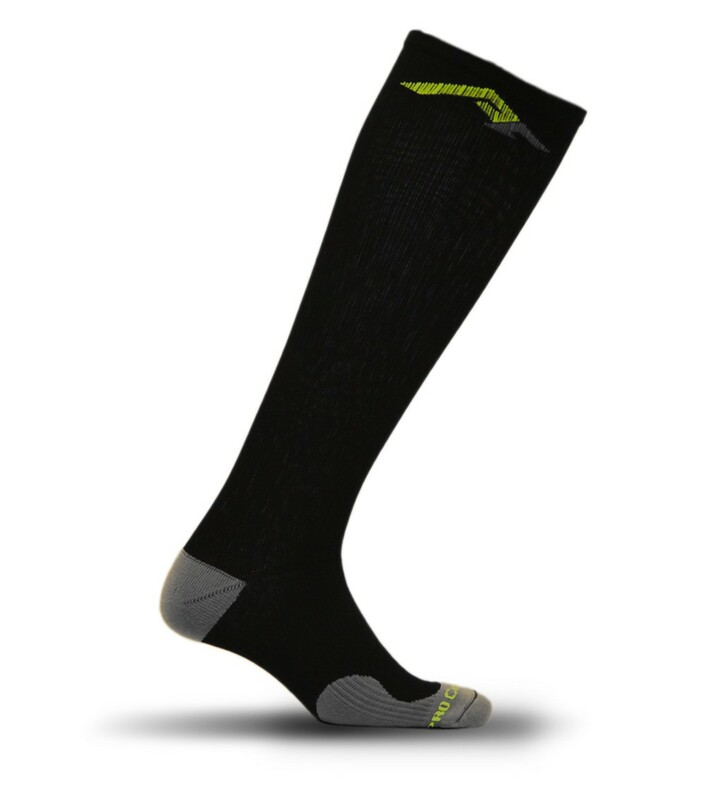 Pro Compression offers the marathon sock for running. Fit: The PRO Compression Marathon Socks are rated at gradient 22-26mmHg compression. The sock is the thinnest of all compression socks I will review. With some added padding for chafing protection and cushion. The sock fit really snug and fits very well in all kind of shoes including my racing flat. Marathon Sock does come in Right/Left specific sock which could have approved fit and compression, although as mentioned above the sock part fit really great. The sock has stayed up during all my runs including endurance, tempo and intervals. Compression: As mentioned above the Marathon Socks are rated at gradient 22-26mmHg compression, however, Pro Compression can only be ordered by shoe size and not the size of your calves. I do believe that all compression socks should be measured by the calves for better reliable fit. My socks came in size S/M and they are fitting me well with a nice not to firm compression. The compression gives me extra support during my work outs with a secure fit as mentioned above. 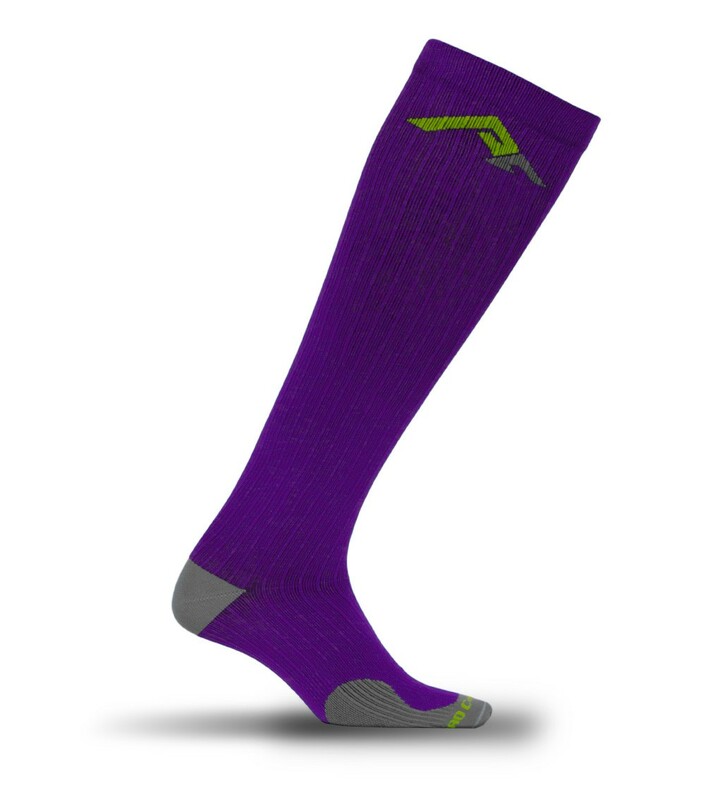 Pro Compression does not target any specific parts of you under feet/legs , its a straight up compression sock. Over All: Pro Compression is a strong competitor in the compression market. Pro Compression offers a wide variety of colors and patterns and they are also priced right. And with the promotion code BLG13 you get 40% off! Marathon socks has past all test I have done, including a few turns in the laundry. Marathon socks keeps it shape and form. Marathon sock is a true racing sock as it is a bit thinner and has a fast feel. If you wanna look fast, feel fast and pretty for an unbeatable price tag, Marathon sock should be on top of your compression list!